Mobile markets and other healthy food businesses are nimble, low cost ways to get healthy food into underserved and vulnerable neighborhoods. Mobile markets operate out of large trucks or vans, selling produce and other healthy food, often to low-income neighborhoods with few healthy food retail choices nearby. The markets sell food for individual purchase or as part of a membership or weekly produce box delivery. Studies have shown that mobile markets not only increase awareness of healthy eating, but also increase fruit and vegetable consumption (See, e.g., Zepeda and Reznickova, 2013, Measuring Effects of Mobile Markets on Healthy Food Choices). 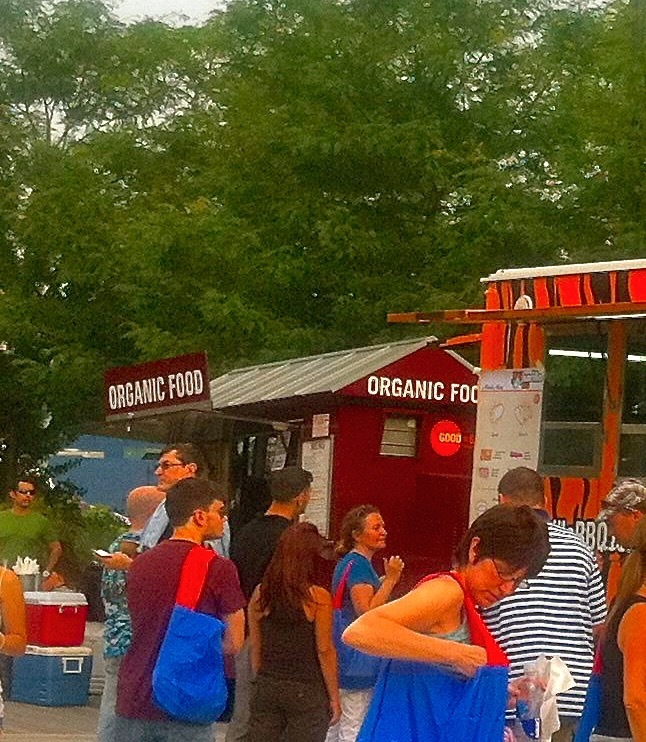 Mobile healthy food markets have been operating for several years in numerous cities around North America, such as Philadelphia, Oakland, Chicago, Madison and Toronto. For example, Greensgrow Farms Mobile Markets in Philadelphia uses mobile markets to bring fresh and affordable healthy food items at into underserved and economically disadvantaged parts of Philadelphia. The market sells seasonal produce purchased directly from local and regional farmers, including many Philly-area urban farmers. Shoppers have access to a full selection of healthy foods, including locally grown fruits and vegetables like peaches, corn and tomatoes, as well as dairy, eggs, and pantry goods like brown rice and lentils, and year-round fruit and vegetable staples like avocados, mangos, grapes, onions and potatoes, giving shoppers access to a full and healthy diet. The markets accept SNAP/EBT (Food Stamps) cards, Women, Infants and Children (WIC) & Farmers Market Nutrition Program (FMNP) farmers markets vouchers, and offer Philly Food Bucks (similar to NYC’s Health Bucks that add an extra layer of subsidy when customers use SNAP to buy healthy local fruits and vegetables) to increase the amount of fresh, local food families can purchase. The project also works with local partners to provide healthy eating workshops, cooking demonstrations, and fitness activities. In Toronto, Food Share Toronto, with the help of the City of Toronto and the United Way, recently commissioned LGA Architectural Partners to create Canada’s first mobile market. Food Share’s Mobile Good Food Market is a market on wheels that visits Toronto’s neighborhoods every week selling fresh affordable vegetables and fruit. The markets are located in neighborhoods that don’t have easy access to fresh, affordable, healthy–and culturally appropriate–food. The mobile market builds on Food Share’s buying power of $1.6 million (Canadian) per year due to its successful Good Food Box, a type of healthy food buying club, and its Good Food Markets. 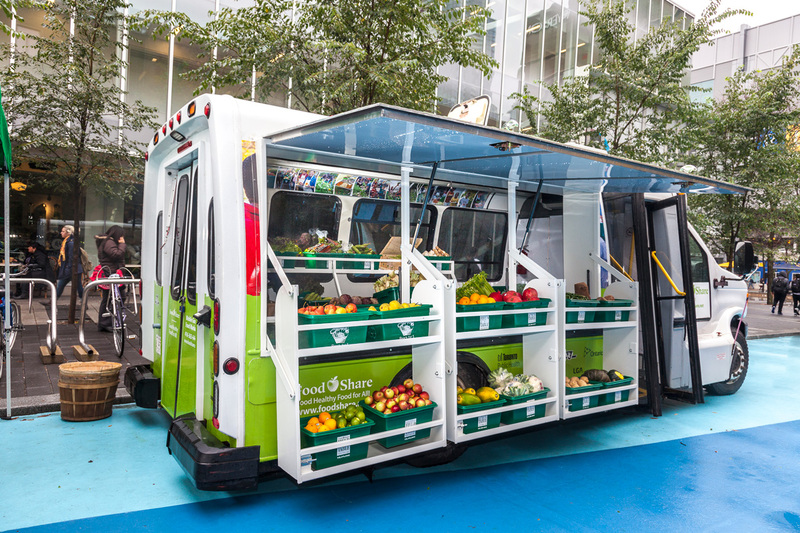 Now in its second year, Food Share’s mobile market visits five diverse communities around Toronto and, through a recent donation of a decommissioned Wheel-Trans bus from the Toronto Transit Commission, customers now will be able to shop through all seasons. 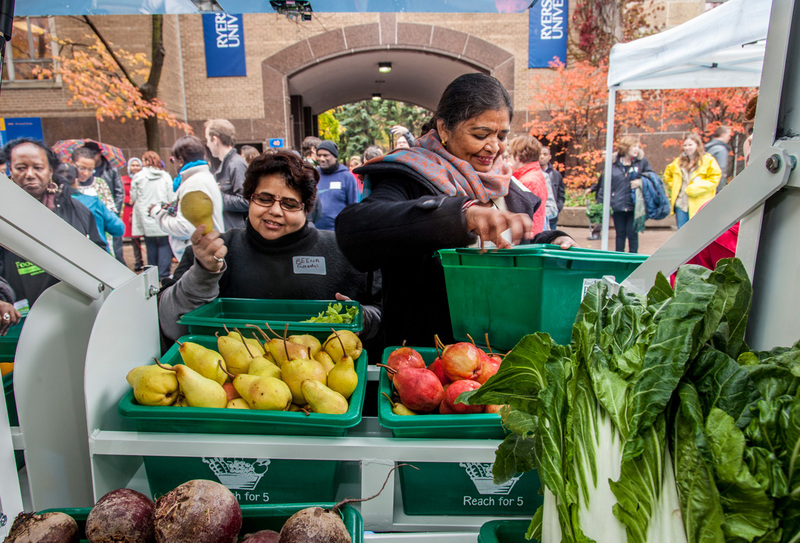 The market has more demand than Food Share’s capacity can currently meet and has been highly successful in providing much needed access to Toronto’s underserved communities, says Debbie Field, Food Share’s Executive Director. For more about Food Share’s Mobile Good Food Market, click here. New York City’s Department of Health and Mental Hygiene treats mobile markets like food trucks, burdening these entrepreneurs with heavy costs and long waits for licenses. Right now, New York City’s regulatory environment does not make it easy for mobile markets to operate in New York City. 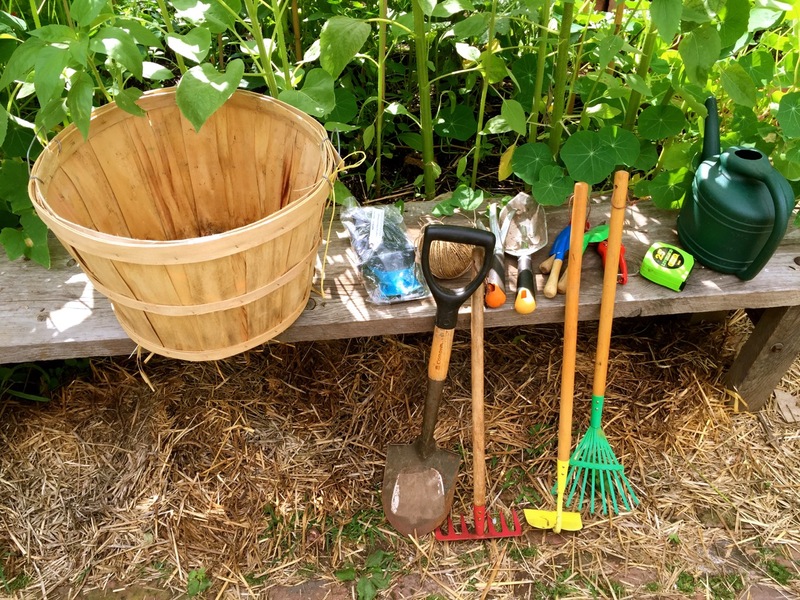 A few local nonprofit organizations, such as City Harvest and Corbin Hill Farms, have launched what they call “mobile markets,” but to get around the large administrative hurdles, they operate more like a delivery vehicle for nonprofit CSA or food box programs, with qualified and pre-registered subscribers, rather than moving to and from as consumer demand might require. In New York City, a number of small entrepreneurs have attempted to launch these mobile businesses, often with an educational component such as cooking demonstrations or recipe kits, only to be met with impenetrable administrative obstacles. For example, during the 2012 Food for Health Business Plan Competition, a team of social entrepreneurs with a vision of encouraging home cooking and increasing demand for healthy food in Harlem convinced a panel of judges that their mobile market, Fresh Routes, deserved an investment of $25,000 and a team of mentor support to make their business a reality. Fresh Routes was chosen from five finalists with a business plan to operate a for-profit mobile food market to sell affordable, high quality, nutrient-dense raw fruit and vegetables, dried grains, and non-perishable cooking staples, sold individually, or bundled into meal packages, making meal planning and home preparation more convenient, affordable, and appealing. The company proposed sourcing produce year-round from Hunt’s Point wholesale markets in the Bronx and regional growers so customers could receive fresh, high-quality produce at close to farm-direct prices. Unfortunately, Fresh Routes could not launch their plan as originally conceived: The problem is, businesses that do not fit the standard “Green Carts” template do not qualify for the Green Cart vendor’s license from the New York City Department of Health and Mental Hygiene (NYCDOHMH). Rather, NYCDOHMH considered Fresh Routes to be a food truck and so, the founders faced prohibitive costs and a five+ year wait for a food truck license. Green Carts are mobile food carts that offer fresh produce to specific New York City neighborhoods with limited access to healthy foods. 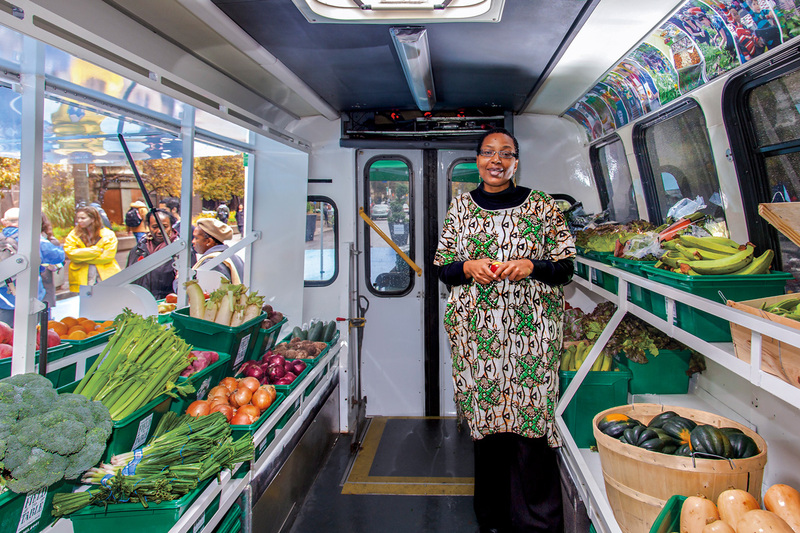 The NYC Green Carts initiative was launched in 2008, offering 1,000 permits for a new street class of mobile fruit and vegetable vendors in underserved areas, along with training, business assistance, marketing/advertising and technical support for vendors. The initiative requires that vendors follow a specific business model that differs from the more nimble healthy food markets in trucks and vans. In a recent program evaluation report from Columbia University’s School of International and Public Affairs, vendors report success, along with some limitations and challenges: the carts are harder to move to new locations quickly as demand may require so vendors often stay put rather than have multiple stops; they aren’t often located near housing projects where residents can access from their homes; vendors aren’t often equipped to accept SNAP or Health Bucks and under NYCDOHMH regulations, they can only sell fresh fruits and vegetables. 1) Increase the number of licenses and decrease the cost of permits for mobile healthy food businesses issued by the New York City Department of Health and Mental Hygiene annually and reduce the waiting time for mobile healthy food businesses that operate underserved and vulnerable areas. 2) Incentivize direct sale small business partnerships between farmers and low-income residents by easing permitting requirements for mobile market vans delivering healthy food by the box and other mobile fresh food delivery systems, buying clubs, food coops, and CSAs. Loosening restrictions and increasing licenses would bring many new small healthy food businesses into the very neighborhoods where they are needed most. These small businesses have the flexibility to pilot innovative sales models, the ability to create many jobs, and the low overhead and operating costs to keep healthy food affordable. The company, Fresh Routes, mentioned above is finally up and running, but instead of operating as a mobile market, it launched an online ordering service selling fresh healthy dinner kits with recipes, and free cooking coaching by phone. The new model requires more brick-and-mortar infrastructure than their original mobile market plan, raising their operating costs and making the meal kits far less affordable and accessible to the original target customers: New York City residents with the greatest unmet need for healthy affordable food. Those pursuing a food truck business should make sure they are knowledgeable on the type of insurance they need.